It’s not even real. 2017 cannot be coming to an end. Despite the gap seven months I had between high school and university, the entire year was still a whirlwind of activity. For the first half of the year, I could have easily kept myself in the world’s waiting room, standing in line for the decisions on my higher education. But that was not the case. Apart from my individual commitments, I also implemented a Gap Time Plan inspired by Education Matters. We (my USAP Class) can all agree how useful it was. Being part of the USAP Selection Committee is definitely one of the best things I did as a USAP alum. I could be biased, but I promise it was such an incredible exercise. I know for a fact that by just becoming USAP, you have potential of becoming a game changer, wherever you end up. With this in mind, you can imagine what a careful process it was for our committee to identify who of the over 900 talented applicants needed and deserved the opportunities the most. It is almost determining someone’s life path, and it was such an honor to be involved. 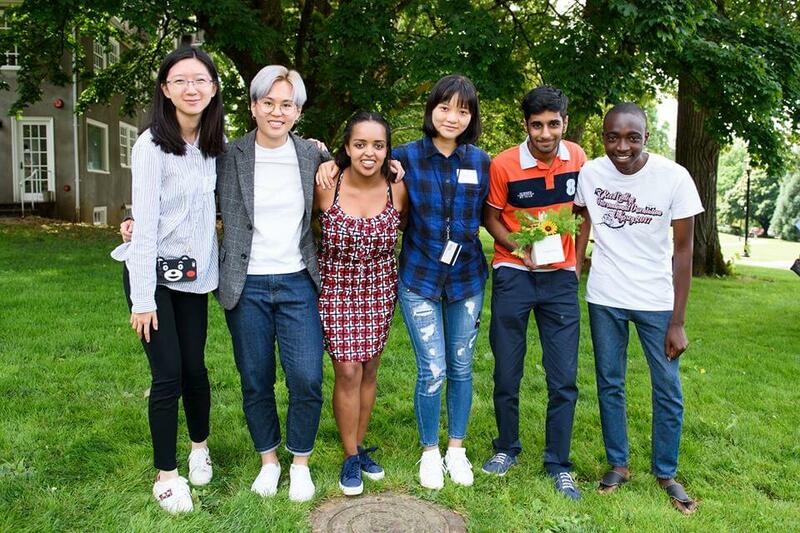 The best part was finally meeting the USAP Class of 2017, seeing each member’s unforgettable radiant smile and feeling excited about the life-changing path they were starting to tred. 2017 has also been a year in which I thought to myself: who am I on the other side of the Atlantic Ocean and who am I when no one is looking? Who am I when I move to becoming a minority most of the time? A minority as a female in engineering. A minority as a first generation college student, the first in my family to study abroad. 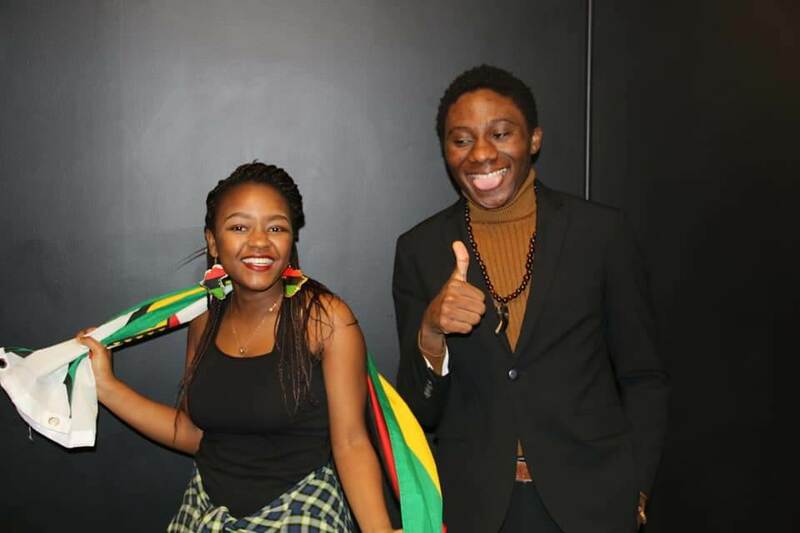 A minority because of a relatively low-income, for being a Zimbabwean African student as well as a minority for being an actively practicing Christian. And knowing about the impostor syndrome arising from this status, I did not allow it to keep me from pursuing opportunities and my dreams, a blessing. New Spirit of Penn Gospel Choir with Nyasha on the far left of the picture. 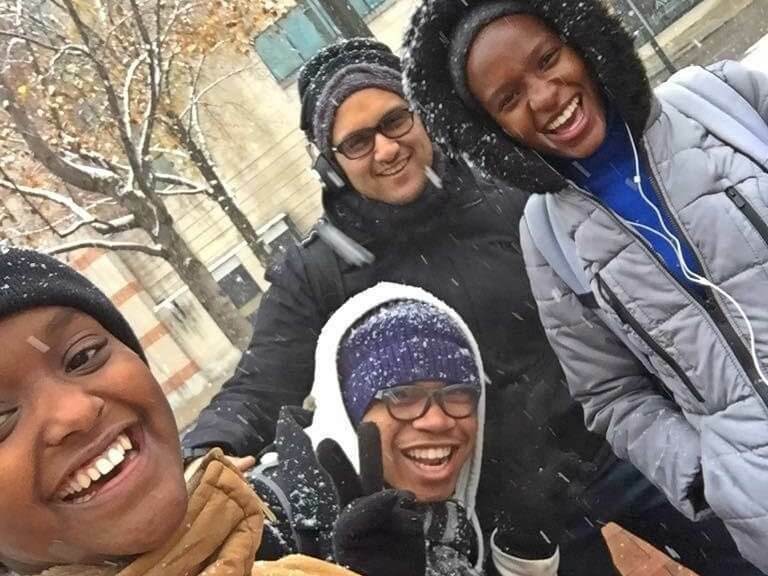 As if to commence our finals at UPenn in the most glorious way, we had our first snow experience in December. I remember on the same day, the New Spirit of Penn Gospel (NSP) Choir, of which I am member, was singing for a women’s shelter initiative. 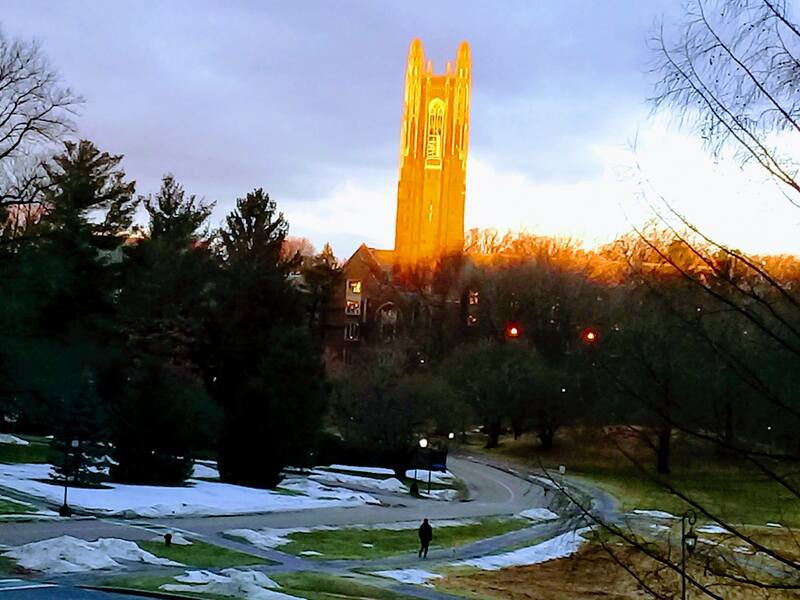 Before the event, my friend and I had been walking outside where tiny white flakes were slowly transforming our campus. We were both excited and also curious about why people were not wearing umbrellas. Later we performed the song “Melodies from heaven, rain down on me, rain down on me”. When our solo changed “rain down on me” to “snow down on me,” the audience became extremely ecstatic and began to sing along. When we finally left the building, I looked at the surroundings in disbelief. It was so breathtakingly beautiful that there was no way of telling who had or who had not seen the snow before – all NSPeople were taken aback! I discovered that everyone loves the first snow of the season. Having made a lot more discoveries, enriching or sad, I know we are all concluding 2017 wiser and with more experience. 2018 awaits and although we may have “confusion of the unknown” like Madam Boss calls it, we now cannot let that wear us down. May we prepare to be challenged and more importantly, to rise above the challenges. 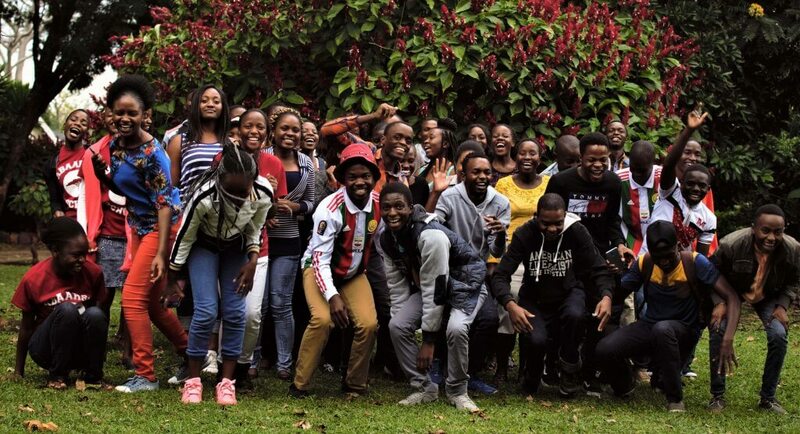 By USAP alum Nyasha Zimunhu who has just finished her first semester studying Engineering at the University of Pennsylvania. Wow. Breathtaking. Amazing work Nyasha. Keep it up.